Kelleys Island General Store is a family-owned storefront located in the heart of downtown Kelleys Island. We've proudly served residents and visitors of the island since 1978. With products ranging from souvenirs to sundries, you'll find a little of everything in the island's largest variety store. Kelleys Island can be found in the western basin of Lake Erie, approximately three and one-half miles north of Marblehead, Ohio. This popular island getaway attracts families, tourists, and outdoor enthusiasts from around the world. We are currently hiring full-time sales associates for the 2019 summer season. If you are available at any time this summer, don't miss your opportunity to live and work on Kelleys Island! With a great location, casual atmosphere, competitive pay and opportunities for advancement, this is one experience you don't want to miss! The Sales Associate is a key employee in maintaining exemplary customer service. He/She is responsible for serving customers timely and accurately while balancing tasks such as merchandising, stocking, pricing, cleaning, and organizing. The Sales Associate works with management to increase the overall efficiency and effectiveness of the business. Pulling, pushing, and lifting objects up to 50 lbs. Housing on Kelleys Island is both limited and expensive. There are no bridges connecting the island to the mainland; our location is only accessible by air or water. The Kelleys Island Ferry Boat is a preferred method of transportation for both individuals and automobiles traveling to and from the island. Since this commute can be costly and time-consuming, Kelleys Island General Store provides a limited amount of shared housing for its staff. The housing is less than a one minute walk from work and will be shared by up to four other employees. Each worker will have their own fully-furnished bedroom with a locking door. The kitchen is fully equipped with a stove, oven, refrigerator/freezer, microwave, toaster, and coffee maker. Pots, pans, dishes, glasses, and silverware are also provided. The housing is recently renovated, air-conditioned, and has 1.5 bathrooms. TV/Cable is not provided, but the housing does have free WiFi. Rooms are single occupancy and available to employees at a rate of $240/month, utilities included. Those wishing to commute via the Kelleys Island Ferry Boat Line or Jet-Express should contact management for more information. The following questions pertain to legalities concerning employment; this includes the operation of motor vehicles, compliance with insurance mandates, and the sale of alcohol/tobacco products. Are you a legal citizen of the United States? Would you like to work more than 40 hours per week? During peak season, store hours span from 9:00 AM to 11:00 PM. Will you consistently be available on each of the following days? Please select any other specific day(s) you will be unavailable. Click "Add another date" for each additional date. A criminal record does not necessarily eliminate you from employment at Kelleys Island General Store. Convictions will be reviewed with respect to the circumstances and seriousness of each offense. Failure to disclose any conviction may result in elimination from consideration or summary dismissal. Have you ever been convicted of, or plead "No Contest", to a felony? Have you ever been convicted of, or plead "No Contest", to a misdemeanor?  Have you ever applied to the Kelleys Island General Store? Have you ever been employed by the Kelleys Island General Store? Are you interested in more than one summer of employment? If hired, how many total summers do you intend on working? Do you have a resume that you will e-mail to KIGeneralStore@Gmail.com ? Does the resume include your level of education? Does the resume detail your employment history? Does the resume include professional references? Does the resume include personal references? How many employment references would you like to provide? How many professional references would you like to provide? How many personal references would you like to provide? 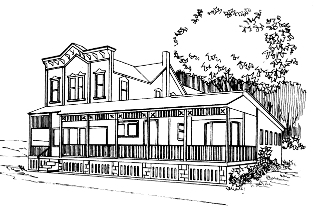 Are you interested in employee housing on Kelleys Island? How did you first find out about this employment opportunity? Kelleys Island General Store is an Equal Opportunity Employer. An offer of employment will be conditional upon receipt of satisfactory references. I CERTIFY THAT THE FOREGOING INFORMATION IS CORRECT AND THAT ANY FALSE STATEMENT MADE HEREIN COULD RENDER ME LIABLE TO SUMMARY DISMISSAL. We're a family owned storefront located in the heart of downtown Kelleys Island!